In 2003, HUMANITAS created The David and Lynn Angell College Comedy Fellowship in honor of David and Lynn Angell, who were aboard Flight #11 when it crashed into the World Trade Center on September 11, 2001. David was a writer on the staff of Cheers and co-creator of Wings and Frasier; his wife Lynn supported him during the early years of his career in her work as a librarian. 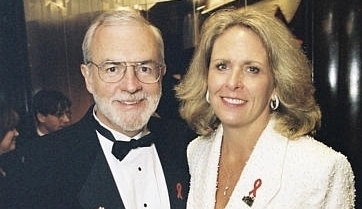 Together, the Angells focused their philanthropic efforts on the ideal that all people are entitled to develop to their fullest potential. The David and Lynn Angell College Comedy Fellowship was created to recognize and financially reward young writers. In doing so, we hope it encourages them to create works that enrich the lives of others through comedy that entertains with humor and captures the human spirit.